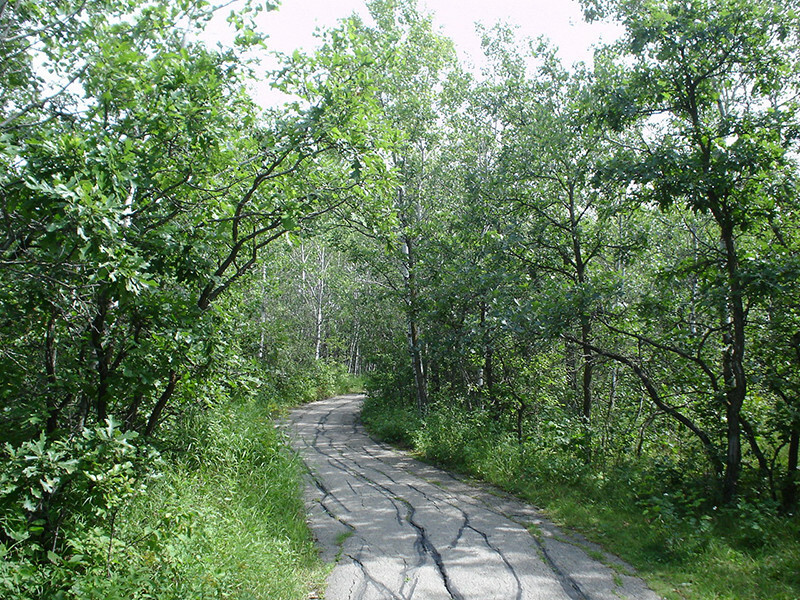 The section of the Assiniboine Forest south of Grant Avenue contains a grid of flat trails. They are often wet. Watch for "No bicycles" signs. The SW corner of the forest links up with the Harte Trail, a forested corridor that starts near Elmhurst and Wilkes, and goes west through rural Charleswood. You can follow the trail for 15K to Beaudry Park.